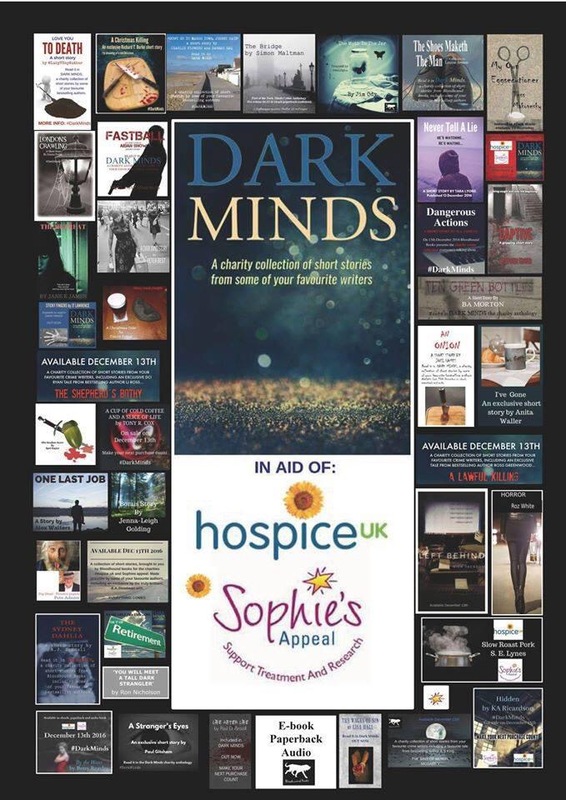 I have to start by saying that the proceeds from the sale of this brilliant collection go to two very worthy causes, Sophie’s Appeal and Hospice UK. I’m honored to be one of the stops for the blog tour today and can’t wait to tell you all about this phenomenal compilation. Check out the book trailer as well. Since there are forty stories in this collection I won’t review every single one separately, but I do want to mention that as a whole they are fantastic. There were none I actively disliked, I really enjoyed something about each of them. I’ll highlight my favorite ones, but there really is something for everyone here, especially if you’re a thriller fan. I haven’t read many short stories but this experience opened up my eyes and made me realize how enjoyable it can be. Who knew a few pages could pack such a huge punch? 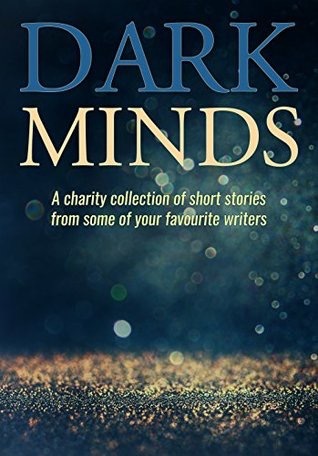 Being a huge Jensen fan I was ecstatic to see she was one of the participating authors for Dark Minds. Her story is about an elderly man named Bill who’s wife Maureen has passed leaving him a widow. Pensioners are being murdered in his area, is he next? It was creepy and pulled off quite a twist within a few pages. This is about an un named man who has an obsession with a beautiful woman named Fiona who he meets when she visits the coffee shop where he works. It’s obsessive, dark and menacing. Christine wakes up in a mental institution and has no idea why or what happened to land her there. Freaks me out just thinking about it! This was very chilling. An un named woman this time who’s husband, Peter disappears. She seems distraught but does she know where he is? Or is she just a good actress? This was chilling in its intensity. Nikki is a kleptomaniac, she’s not hurting for money she’s actually a wealthy housewife. She just can’t help herself, but is her time finally up? I loved the glimpse into her twisted mind and thought processes. Don’t want to say anything besides it is extremely creepy and graphic but excellent in its depravity. Laura’s husband Kevin is missing all that’s left is a note that says I’ve gone. This one was heartbreaking and shocking. Sammy has found herself unwittingly entangled with the mafia in NYC. This is very action packed and there are twists until the very last sentence. Joanne and Beth are two best friends who meet a new guy on Facebook but social media can be deadly… I can’t say much more than that, but I was thoroughly impressed! Daisy is kidnapped by Tim when she’s 6. There is quite a lot of action and intensity for a short story. My pulse was pounding as waited to see what her fate would be. Thanks to Bloodhound Books for my review copy and inviting me to take part in this tour. I’ve only read one or 2 short stories in the last couple years but some of those sounds really good. And how great proceeds go to charity! Excellent review! Great and original review, I’m not into short stories but I’m glad you enjoyed this so much!